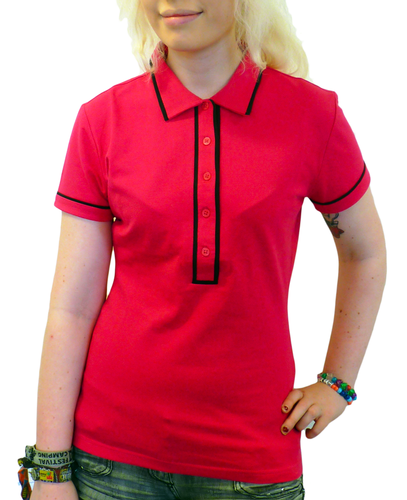 'RONNIE' - WOMENS RETRO MOD SIXTIES PIPED POLO TOP (Hot Pink). 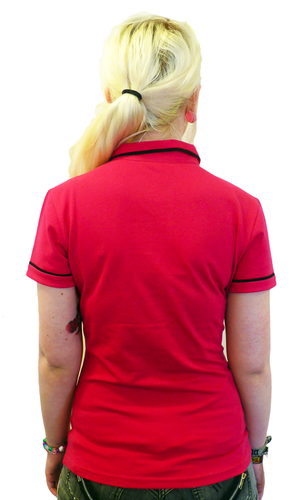 A pure Mod Clothing essential, 'Ronnie' Womens Polo Top in hot pink with contrast black piping to placket, sleeve and collar. 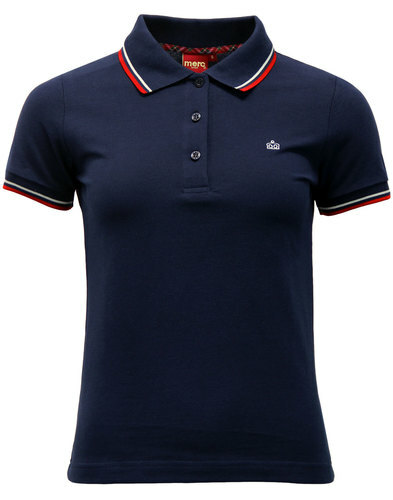 It's the staple of any Mod girl's wardrobe! 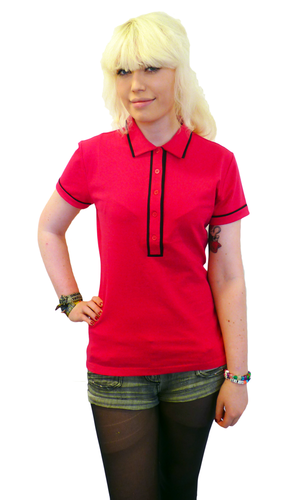 The iconic 'Ronnie' Womens Polo Top in hot pink. Traditional Mod design, elegant fit, classic button placket and striking Retro tipping in black. 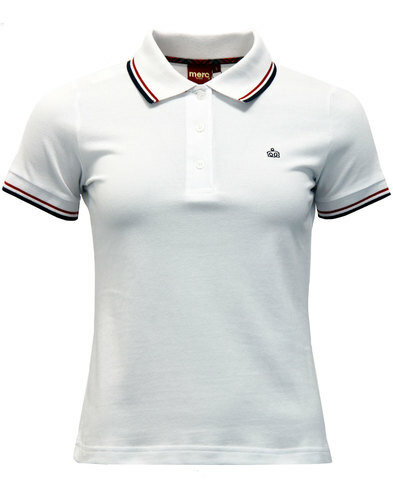 Long line Polo top with short sleeve and elongated placket. 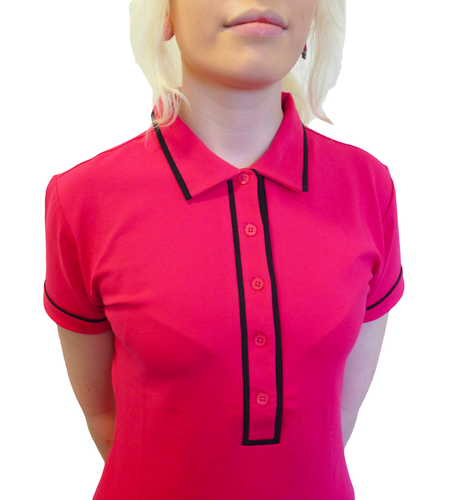 'RONNIE' - WOMENS RETRO MOD SIXTIES PIPED POLO TOP - Womens Polo Top in Hot Pink with Black contrast piping to placket, sleeves and collar. Button fasten elongated placket. Long line fit. SKU: SK048 Fitted, with a slight stretch to the fabric. Long line fit.